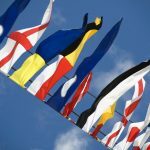 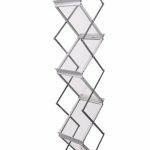 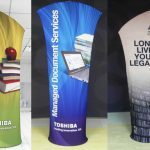 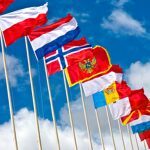 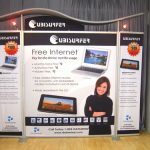 As the organiser of an expo or trade show, it is your responsibility to choose the kind of modular exhibition stands participating exhibitors will use in your event. 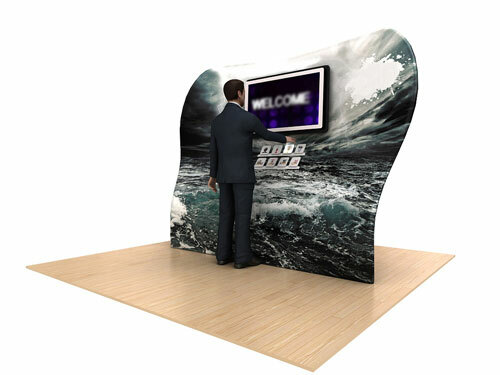 The exhibition stands have to be attractive and, at the same time, utilise the available space optimally. 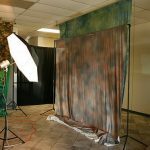 Most of all, they have to be practical and fit your set budget. 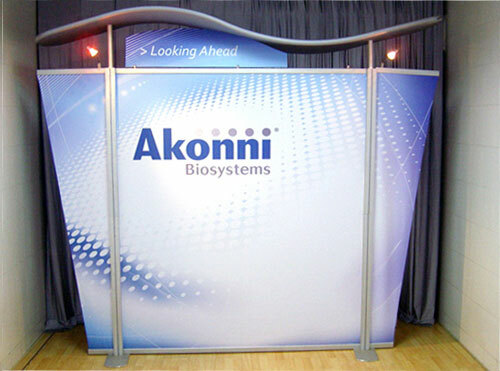 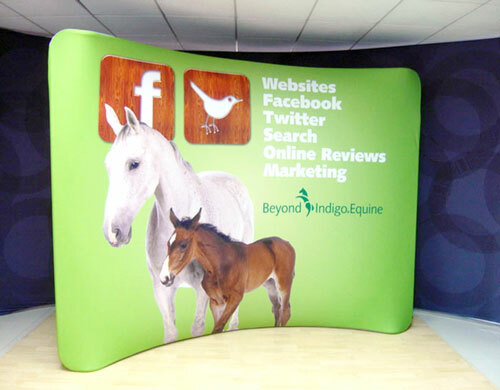 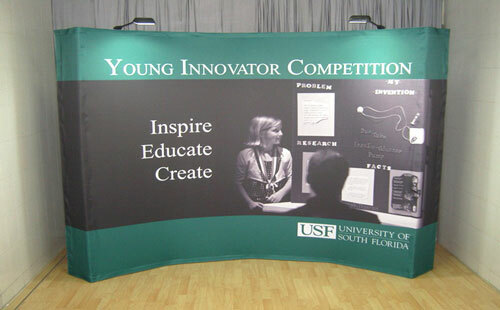 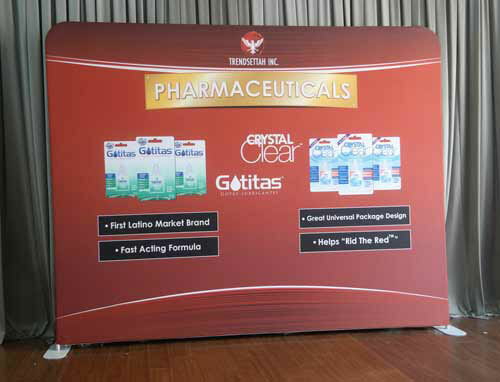 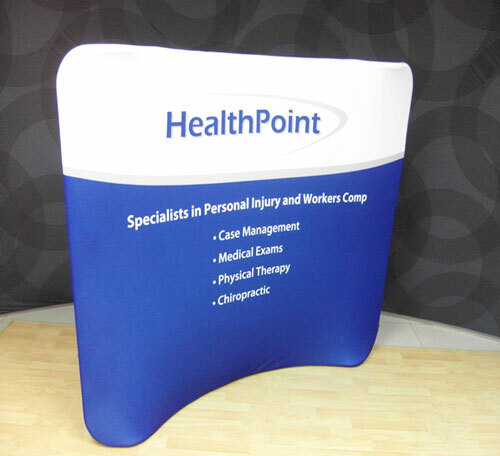 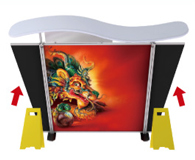 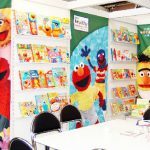 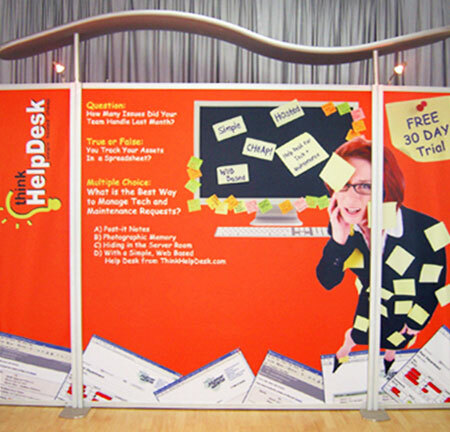 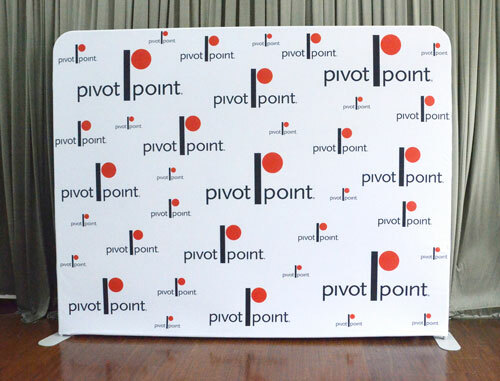 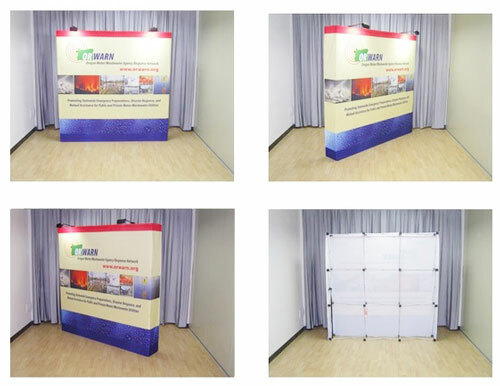 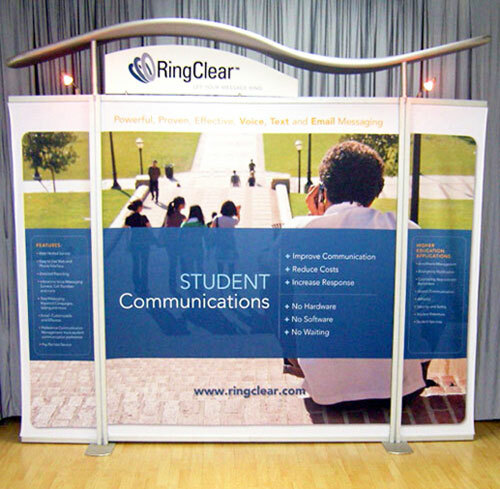 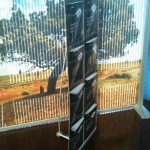 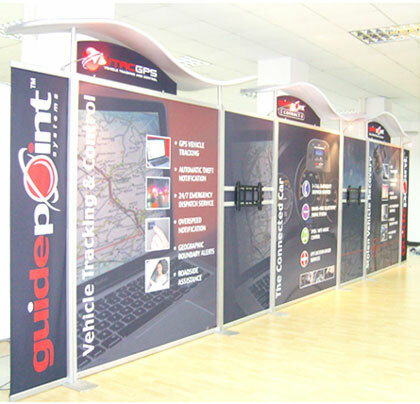 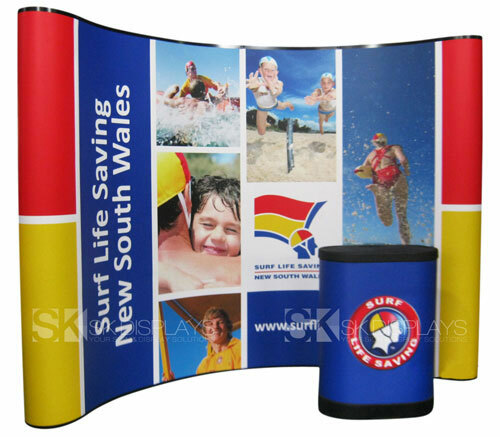 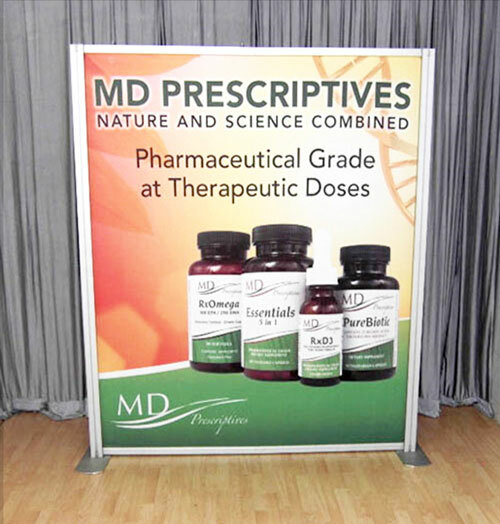 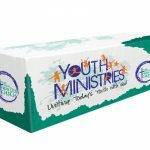 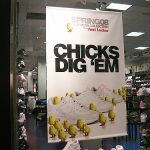 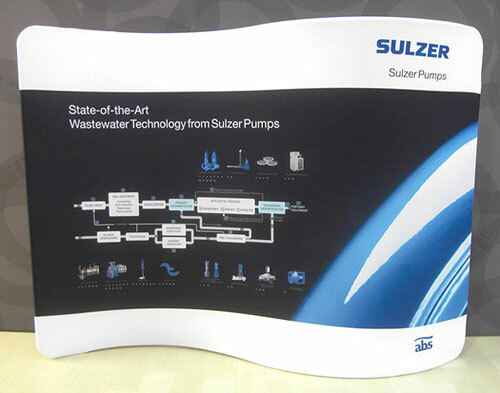 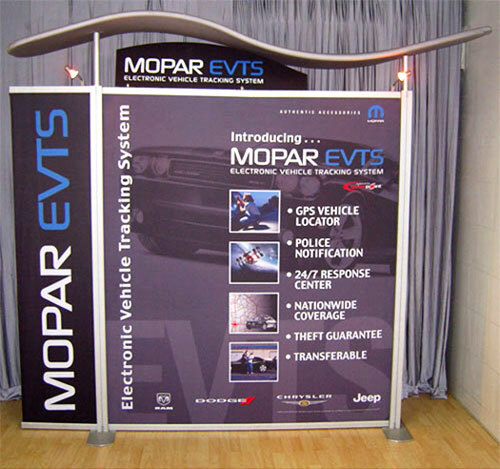 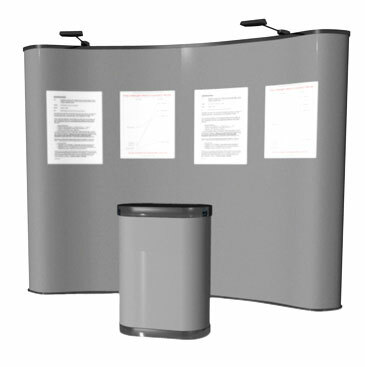 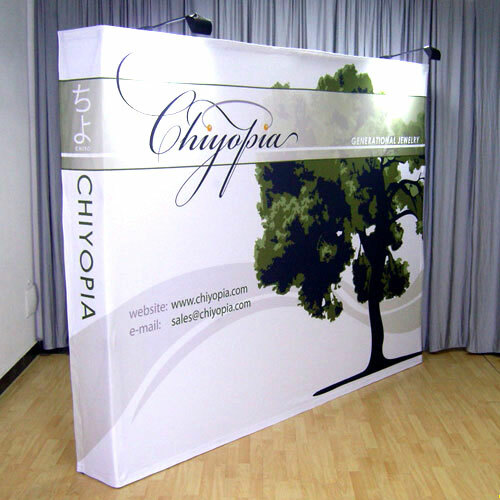 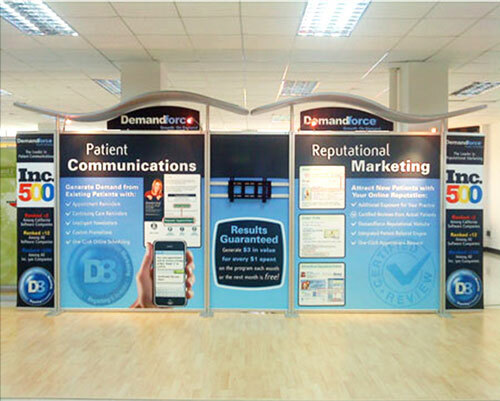 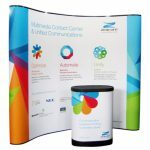 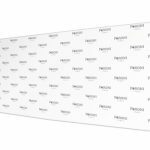 Our display boards are everything you are looking for in exhibition stands and more. 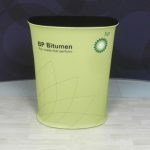 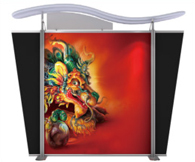 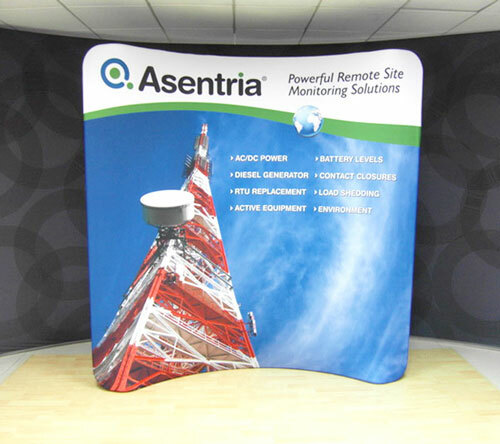 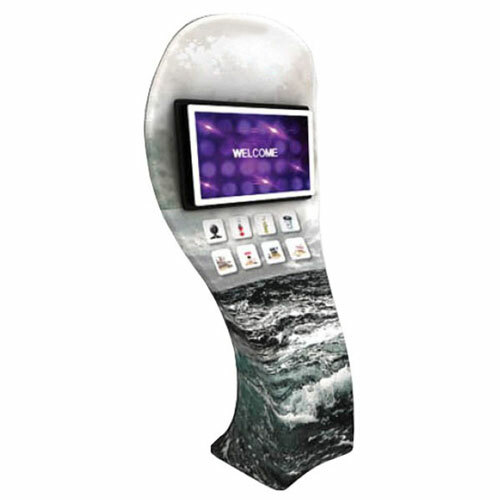 There are many advantages you can enjoy from using our brandstand satellite modular displays. 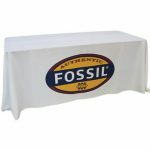 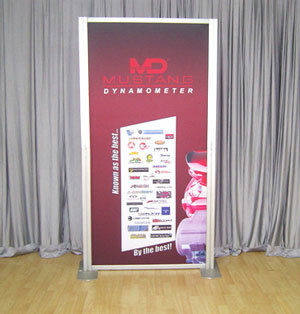 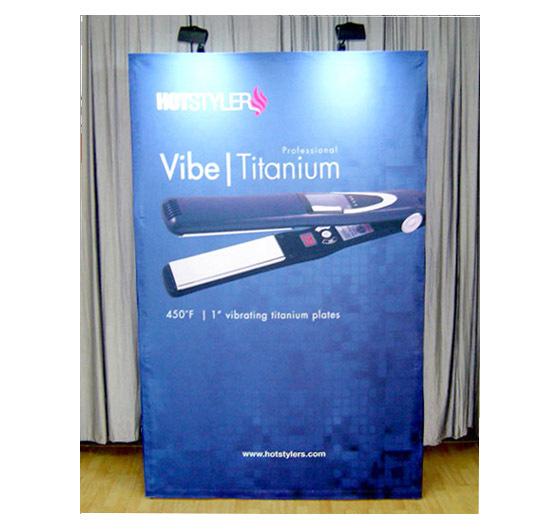 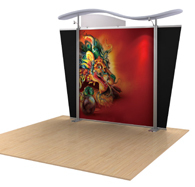 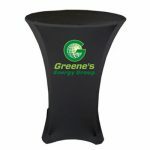 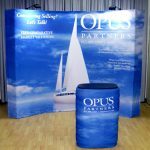 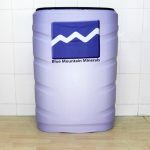 First of these is they will make your exhibition booths look professional. 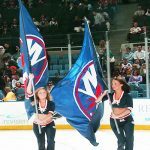 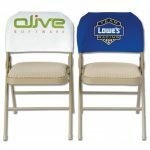 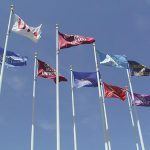 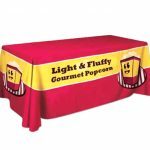 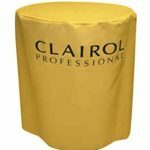 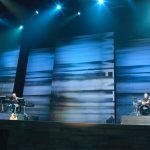 They are perfect for popular, high-profile events attended by thousands of people and covered extensively by the media, such as food and wine expos. 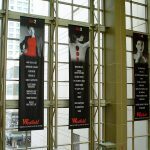 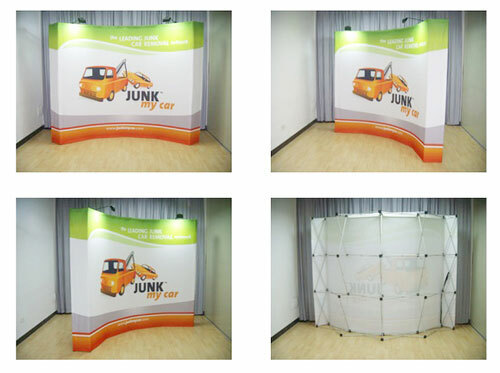 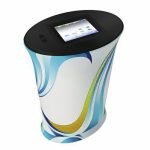 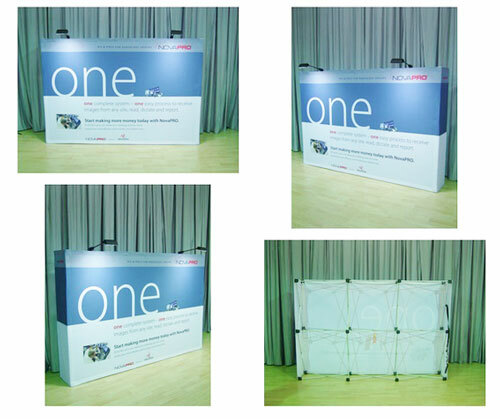 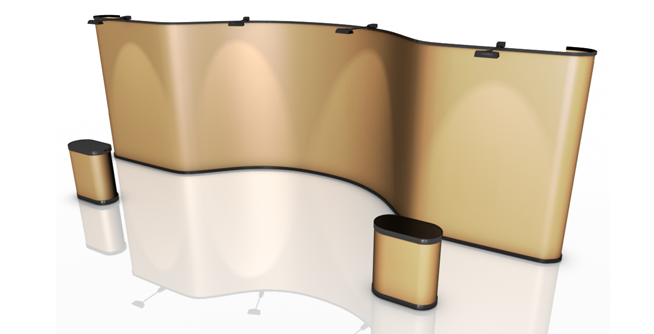 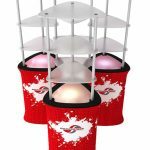 These are modular display systems you can proudly set up in a five-star hotel or convention centre. 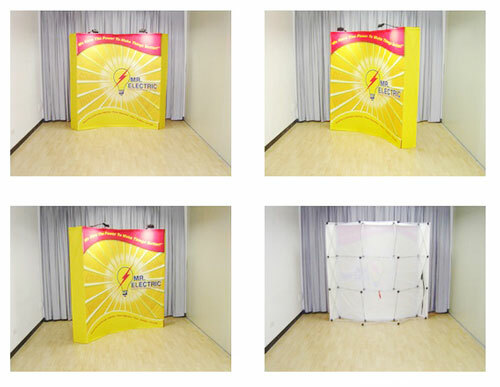 They look good enough for pictures and will not cause join lines or flares in reporters’ photographs and videos. 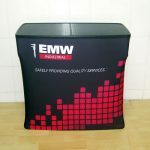 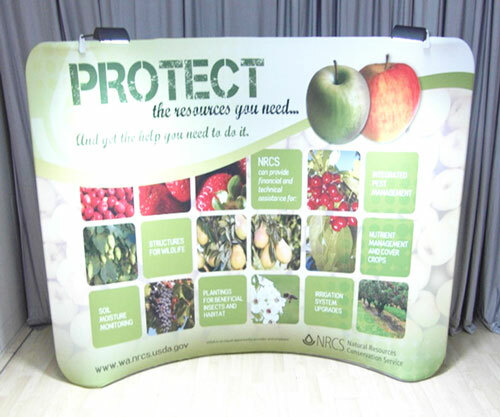 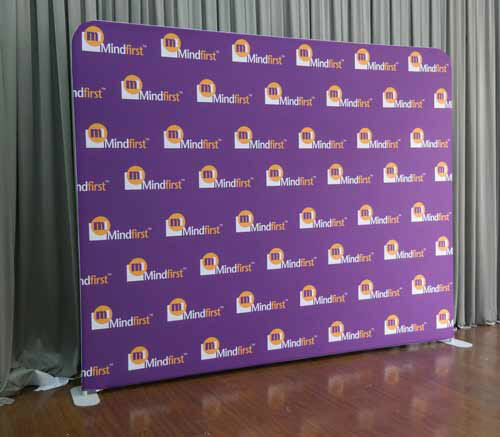 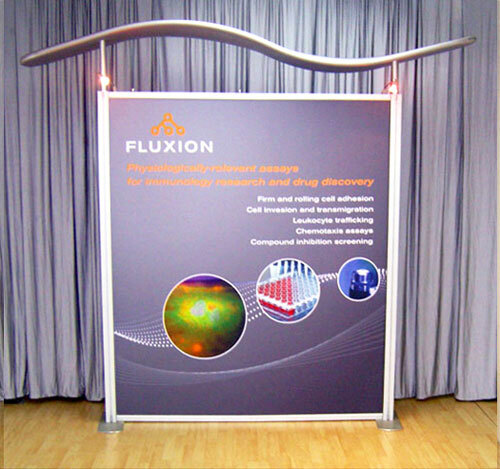 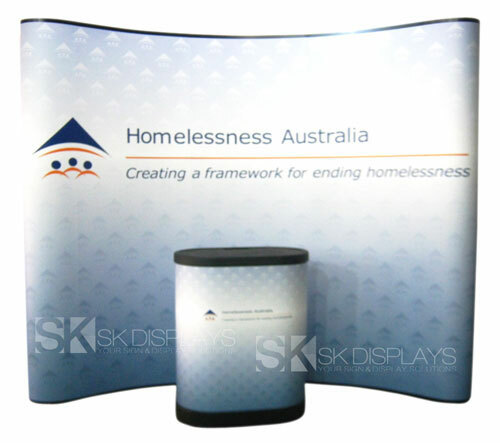 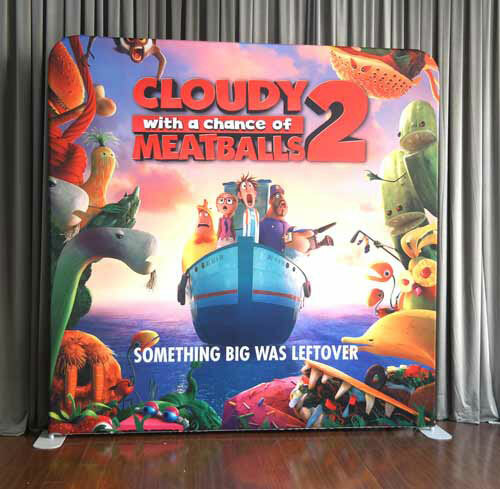 Our 2400mm x 2320mm modular exhibition stands are made up of a frame, a fascia, a canopy construction, and two fabric graphics. 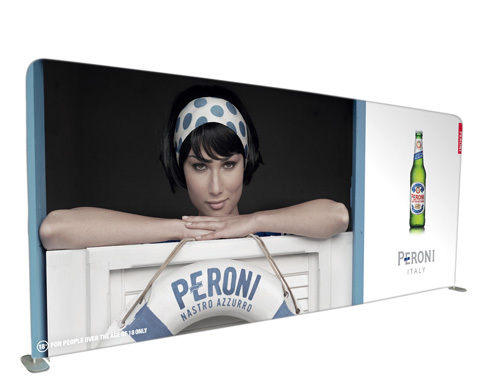 The frame is made of aluminium while the fascia is made of plexiglass. 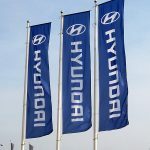 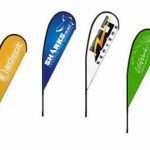 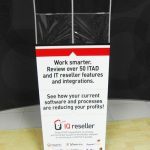 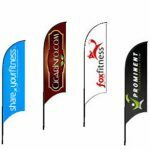 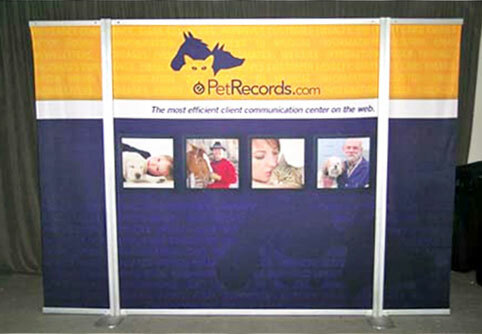 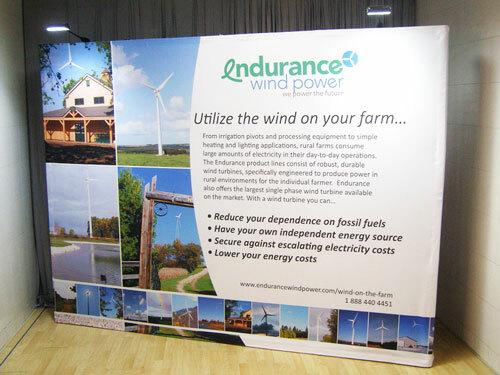 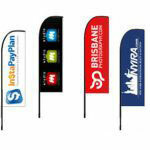 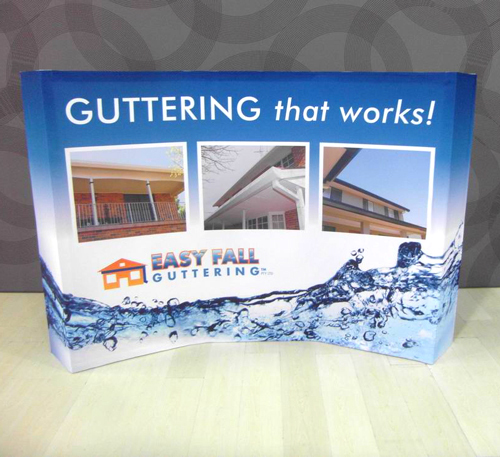 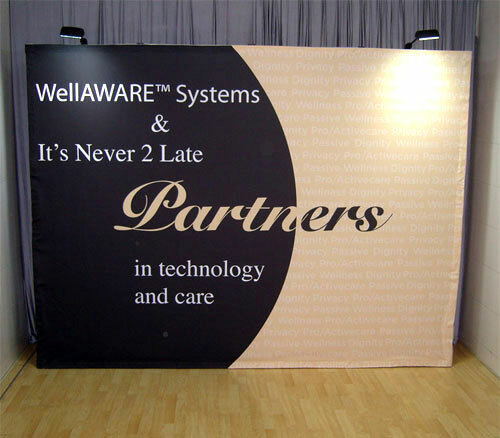 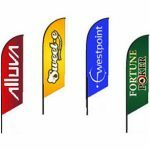 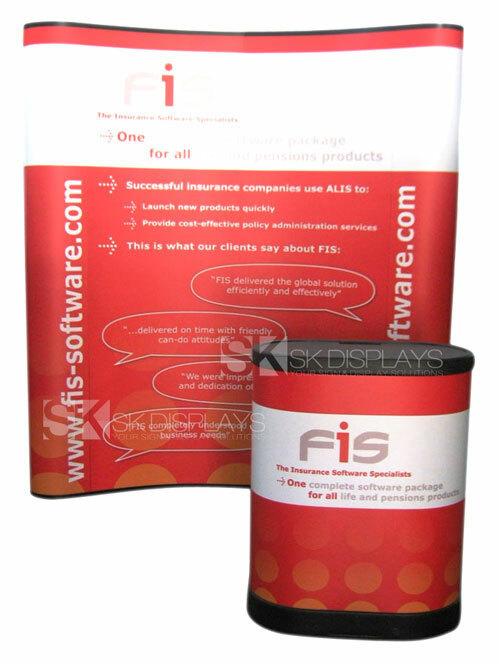 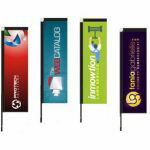 The exhibitor’s company name can be printed on the header graphic inserted in the fascia. 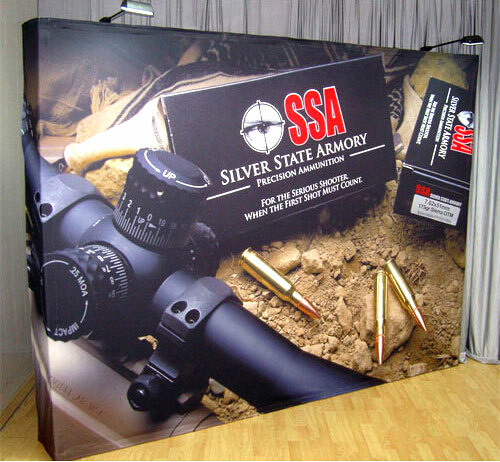 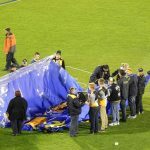 The canopy construction is also made of aluminium and has a gray-coloured fabric cover. 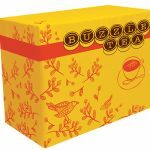 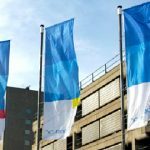 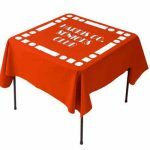 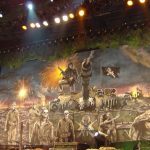 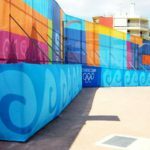 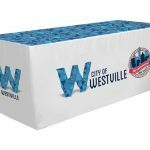 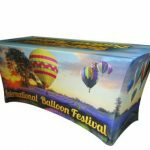 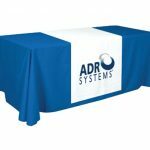 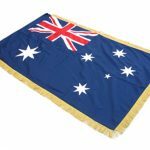 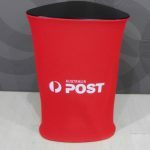 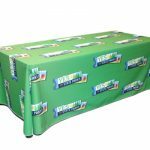 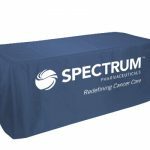 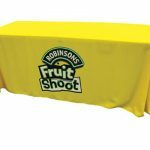 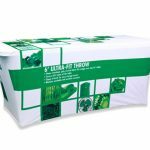 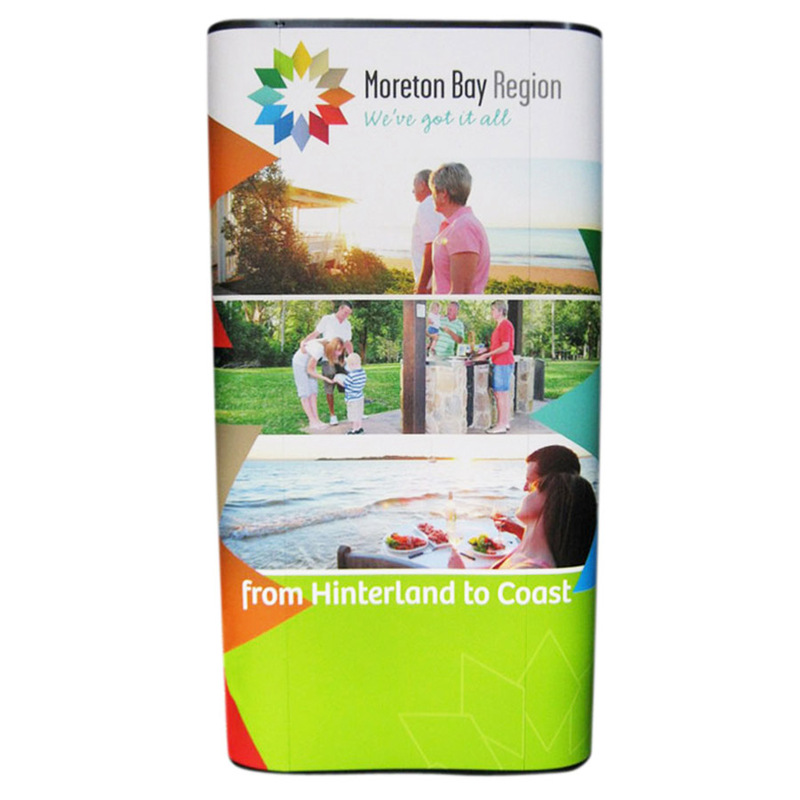 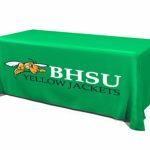 The fabric graphics – the main graphic and a right-side graphic – are printed using the latest dye sublimation technology, which produces vivid colours and images. 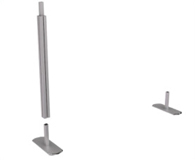 Place the feet in the assembly area approximately six feet apart and slide the vertical pole sections onto the foot as shown. 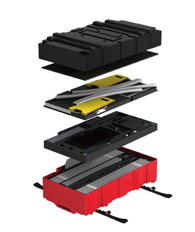 Assemble top and bottom horizontal profiles. 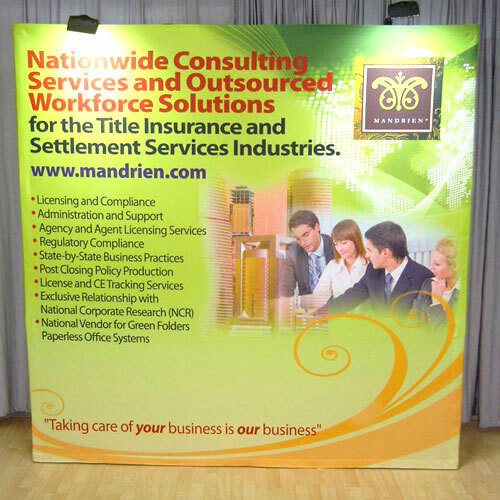 Slide two sections together as shown. 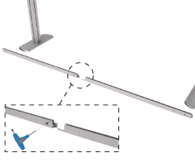 Using the torx key, rotate clockwise 1/4 turn to lock in place and tighten the torx screw on the bottom of the profile. 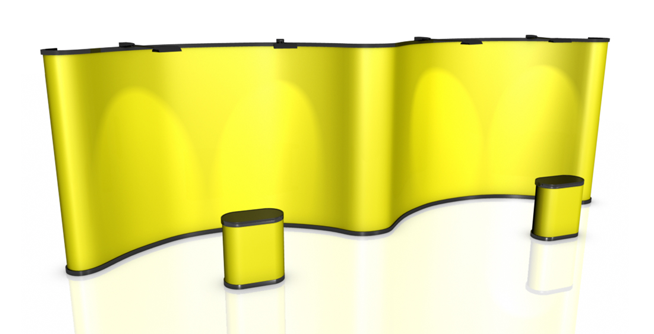 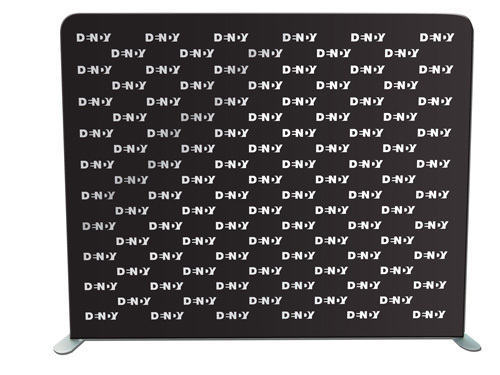 With torx locks facing the back of display, slide the fabric into the curved side of the top and bottom profile. 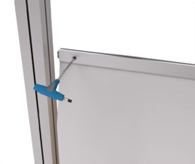 Attach the horizontal profiles to the vertical poles using the torx key. 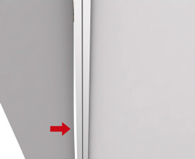 Bottom profile should be flush with the bottom of the vertical poles. 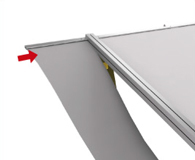 To eliminate the need of a ladder, temporarily attach the top profile at eye level as shown in step 5. 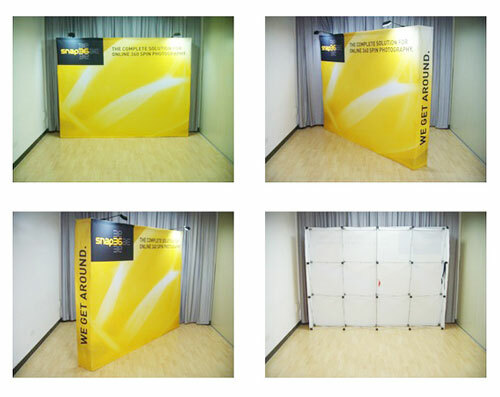 Open the yellow sandwichboards and place them parallel to vertical poles. 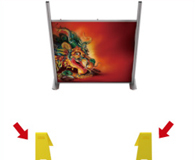 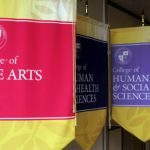 Tilt the display down so the vertical poles rest on the yellow sandwich boards. 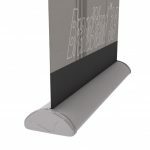 Release the top profile and attach flush with the top of the vertical poles using the torx key. 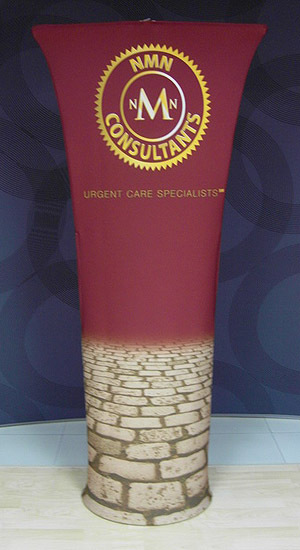 Beginning at one end, tuck the side of the fabric into the center slot of the vertical poles. 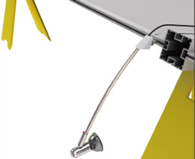 If used, attach the end cap profiles as shown using the torx key. 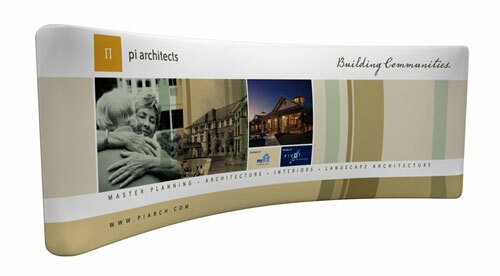 Slide the end cap fabric into the top and bottom profile as shown. 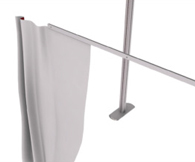 Beginning at one end, tuck the side of the fabric into the center slot of the vertical pole. 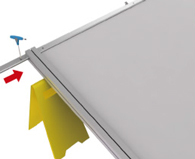 If you are using Plexigas end caps, see instructions supplied separately. 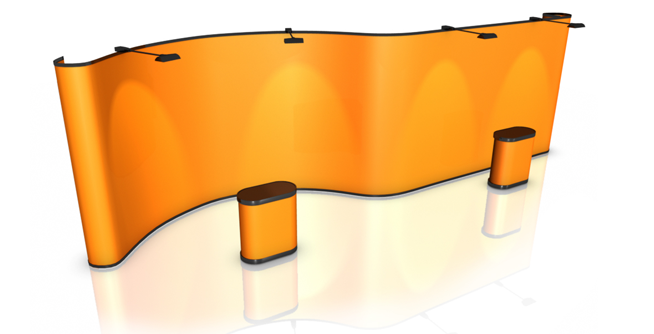 All sections are pre connected, just push together until parts click. 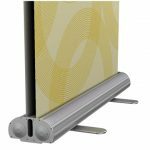 Life the roof assembly and slide the poles evenly and smoothly into the vertical poles. 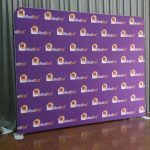 The fabric zipper should be facing down toward the back of the unit. 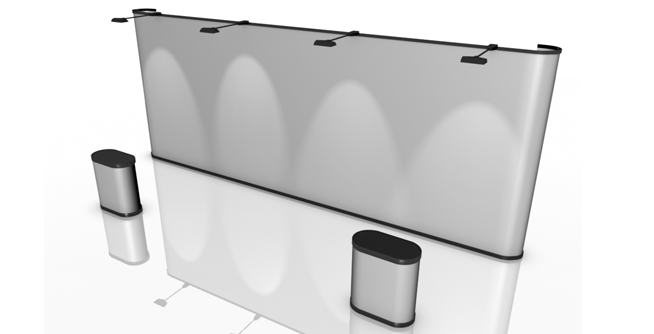 If used, you may now attach lights. 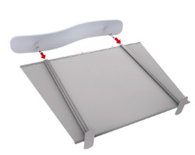 Slide the “T” section into the slot. 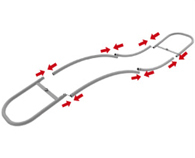 Tighten with the round thumb nut. 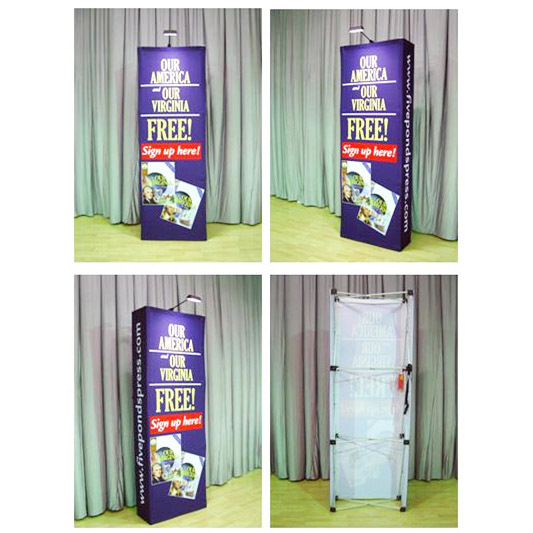 While standing in front of the unit, SLOWLY lift with the unit to the vertical position. 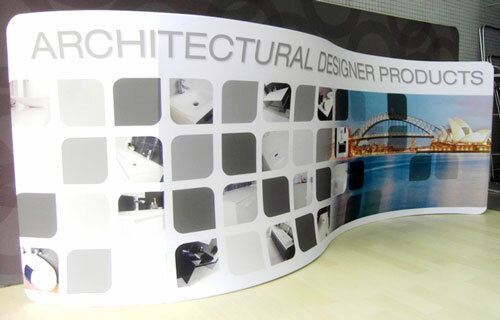 Confirm all the fabric edges are pushed neatly and evenly into the horizontal and vertical profiles.